London-based Gismart may not be a studio you’ve heard of before, but you might know some of its games. 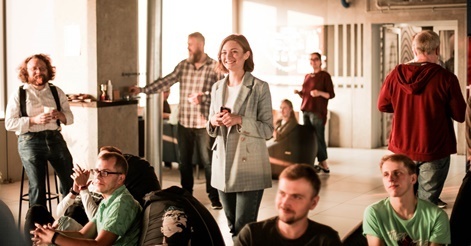 Founded in 2013, the studio currently employs 150 staff across its offices in the UK and Belarus and specialises in the development of music-based apps and games for mobile. Its portfolio includes titles like Hello Piano, Beat Maker Go and Piano Crush. The latter launched in October 2018 and quickly found itself at number one on the US App Store’s music apps chart. The title was a follow-up to the studio’s title Piano, which has racked up more than 100 million downloads to date. Its entire portfolio has generated 350 million downloads worldwide, while the studio claims to have more than 17 million monthly active users. 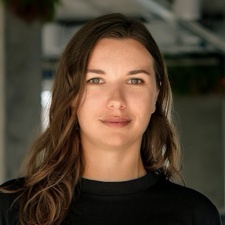 Speaking to PocketGamer.biz, Gismart VP of marketing and business development Lana Meisak discusses why the studio chose to specialise in music-based gaming in particular. “Until recently, the majority of music entertainment products have only offered a passive form of interaction with music content, meaning that people would listen to music, rather than interact with it on a proactive level,” says Meisak. “We loved the idea of uniting music entertainment and casual gaming, giving users an opportunity to actively engage with music, regardless of skills or knowledge, making music playing easily accessible to everyone. The last year has seen Gismart launch various new apps, including Beat Maker Star, educational app Hello Piano and the aforementioned Piano Crush. The titles are monetised through a mix of in-app advertising and subscriptions. The latter offers a way to eventually cut Apple and Google’s 70/30 revenue split down to 85/15. We loved the idea of uniting music entertainment and casual gaming, giving users an opportunity to actively engage with music, regardless of skills or knowledge. After racking up 350 million downloads, the studio has clearly found its niche. Meisak says over the last 18 months the company has experienced consistent month-on-month growth of its audience and revenue. She believes one reason for the popularity of its mobile apps is that, by combining music and games, the studio has created a way to help lower the barrier for entry for those interested in learning about playing music. The medium of music itself also offers the potential to attract a large audience. “Even with educational music apps, the primary approach to learning is that we adopt to ‘learn whilst playing’, as this is often less intimidating for people,” says Meisak. Not just making games, Gismart has been focused on other aspects of its business. The company has sealed deals with the likes of UMPG and Sony/ATV, as well as signing its first partnership with American DJs The Chainsmokers for Beat Maker Go. “This marked the start of our brand new marketing strategy that will focus on collaboration with large music labels and individual artists to provide Gismart’s users to connect with artists they love in a new way,” explains Meisak. On top of that, the year has been capped off by following in the footsteps of many other successful mobile developers in recent times - launching a publishing business. To that end, it’s partnered with Appodeal for the initiative, and the first projects Gismart is partnering with will be announced soon. As the studio moves into 2019, it’s planning more partnerships with music labels and artists, and has a number of new apps in the works. The company has ambitions of doubling its headcount to 300 for the coming year, though Meisak insists it wants to maintain a “start-up spirited” culture, giving each employee a say in decision-making processes. Gismart also has plans to invest in tech and marketing for the year ahead as it bids to maintain its growth plans. “We’ll continue using big data and machine learning technologies to improve user experiences, make smarter products and marketing decisions, and develop more effective business intelligence systems,” states Meisak on its 2019 aims.